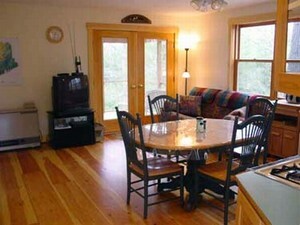 Mill Pond cottage is a cozy, secluded 2-bedroom home located on beautiful Arrowsic Island, surrounded by the Kennebec, Sasanoa and Back Rivers, just 10 minutes south of historic Bath, ME on Rt. 127. 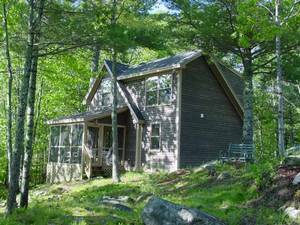 The cottage is situated on 5 acres of secluded woodland with +300 feet of shoreline on beautiful Mill Pond (above), a tidal saltwater marsh, bird lover’s paradise and home to a wide variety of ducks and geese, gulls, great blue herons, osprey and an occasional bald eagle. 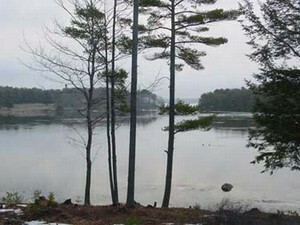 The marsh opens onto Hockomock Bay and provides excellent opportunities for kayaking or canoeing. In the morning you might be awakened by the gobbling of turkeys or the cooing of morning doves - or serenaded in the evening by a local coyote family and/or the abundant owl population. 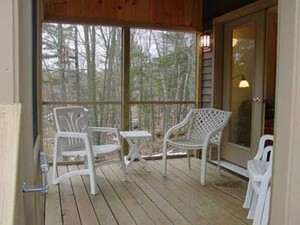 During the day you may want to just relax on the screened porch and read a book or nap. Or if you feel a need for exercise you could take a short hike to Sewall Pond, a lovely freshwater pond where you can take a dip to cool off or wet a line to sample it’s excellent pan fishery. If you’re inclined to catch some sun at the beach, Reid State Park is a short 10 mile drive - or cycle- down the peninsula. On the way back you might want to stop at Five Island’s Lobster Company to sample a freshly prepared lobster while watching lobstermen maneuver among the islands tending their traps. If boating is your thing, Robinhood Marine Center, a full-service facility, is 5 miles down the road in Georgetown. There's great shopping in historic Bath, Freeport or Booth Bay Harbor ... 10-30 min drive. Other things to do include sailing/island tours, whale, puffin and seal watching, a visit to Maine Maritime Museum in Bath, summer theatre in Brunswick, many great restaurants in this region. Shopping in Freeport, historic Bath, Boothbay Harbor. Summer music and art festivals and regional theatres. Restaurants like famous Cook's Lobster House and Dolphin House. Maine Mairtime Museum. 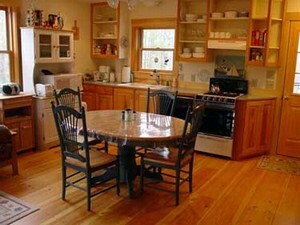 Open concept, well appointed kitchen with full sized fridge, Closet, overhead fan. 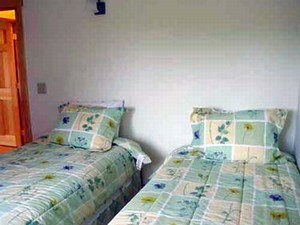 Queen bed, large lighted closet, built-in drawers, 2 night tables, dresser, overhead fan, tv/vcr. 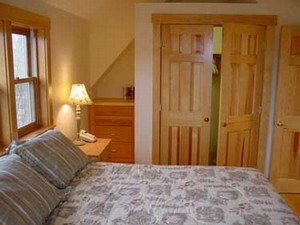 Beautiful views of marsh, twin xl beds, dresser, closet, overhead fan, tv/vcr. Bright, sunny with wonderful breezes. Everyone loves the porch. Small table & chairs, 4 large chairs. Overhead fan. Peaceful, serene. Porch with views of tidal saltwater marsh. Overhead fan. 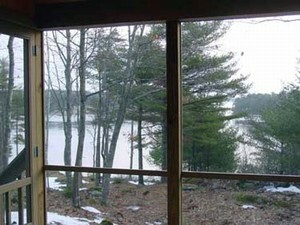 The ever changing marsh is mesmerizing with an abundance of wildlife seen from the screened porch. Looking from marsh to Guest House, nestled in woods. Deposit: Policy described in rental contract. Cancellations and Refunds: Policy described in rental contract. Required Stay: Saturday through Saturday.